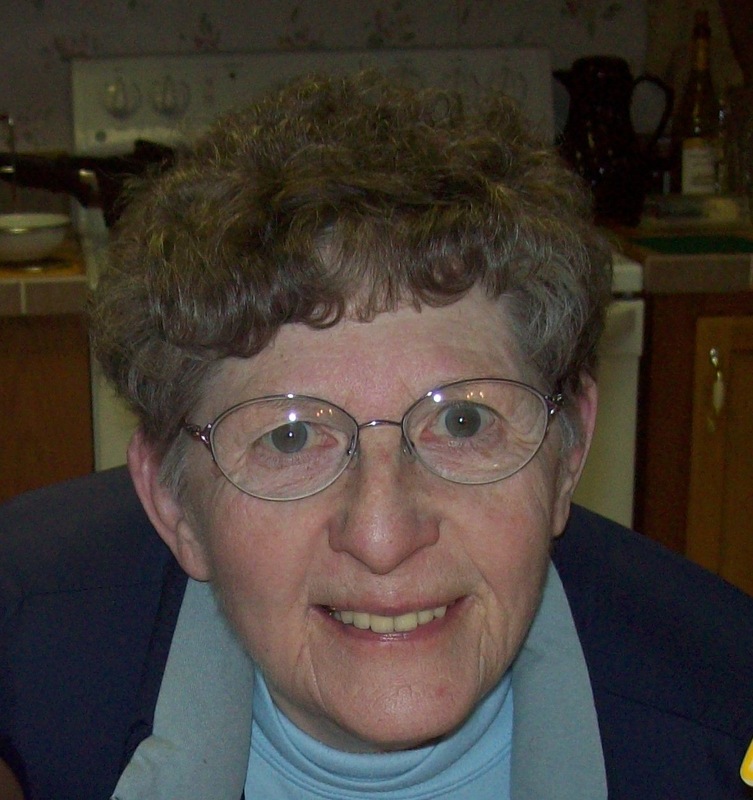 Marjorie “Marj” Leonard, 84, of Gaylord, passed away Monday, January 28, 2019 at Aspen Ridge in Gaylord. She was born in Detroit on February 19, 1934, the daughter of William and Flora Bramwell. She was especially close to her dad who nurtured her interest in sports. Marj’s love for sports inspired her to major in physical education at Michigan State University. At that time, there were not many female sports offered. She decided to try fencing and competed her entire four years at MSU. Marjorie later obtained her Master’s degree at Eastern Michigan University and started her career teaching in the Detroit area and then Cheboygan. A blind date with Bobby Leonard, set up by mutual friends, led to the couples wedding on May 24, 1958. As a kid, Marj spent many days at her family’s Gaylord cottage and it was her dream to teach in Gaylord. In 1972, she secured a job in Gaylord at Gaylord Middle School, where she taught for over 20 years. During this time her passion was coaching girl’s volleyball and track at both the high school and middle school level. She remained active attending and volunteering at the school’s athletic events after she retired. She also kept her grand-daughters busy with non-stop activities and fun. In 2009 she was the recipient of the Distinguished Service Award from the Greater Otsego Sports Hall of Fame. And the following year she was named “Woman Making History” by the Gaylord Branch of the American Association of University Women. Marj is survived by her daughter Lee and her grand-daughters, Kaylee and Kenzie. She was preceded in death by her husband, Bobby and son, Dave. A funeral service will be held 4:00 P.M., Friday February 1, 2019 at Nelson Funeral Home. Visitation will be held on Friday February 1, 2019 from 11:00 A.M. to time of service. Memorial contributions can be made to Guardian Gals (Gaylord). We are deeply saddened to hear of her passing. She was a fantastic woman and a great teacher. Prayers for her family. I have so many wonderful memories working with Marj. She was a wonderful diamond put on our Earth. A rare jewel to all of us!!! God Bless you!! She was a fantastic volleyball coach and mentor while i was at Gaylord high school. She will be deeply missed. Rest in peace. My favorite middle school teacher. She made the new kid feel part of the group from day one. So sorry for your loss. Your mom was a wonderful lady. Very sorry to hear of your Mom passing. I enjoyed knowing her and enjoyed her spunky personality. Sending prayers for comfort..
As a student of your mom’s for many years, and a caregiver who had the privilege of enjoying her in her later years, I can tell you she will be missed, so much, by so many. She was a gem and loved to partake in those Michigan vs Michigan State battles waged in the facility. You and your family are in my thoughts and prayers. GO STATE! So saddened to hear about Mrs. Leonard. I have many fond memories of her at GMS. She was a true role model and one of a kind. My daughter had the honor of receiving the prestigious Marj Leonard Award last year as an eighth grader at GMS. Praying for your family in this difficult time. I remember Marj from her days with the activities at Beaver Creek years ago. Prayers for her family. Lee, Thank you, so much for sharing your Mom with us at Aspen Ridge. I enjoyed her very much. May the Angels lead her into Paradise. Prayers for you and your family. I have nothing but amazing memories of this unique woman. She was so loved, and I know her kind, fair, and loving legacy will live on. She touched so very many lives in such a supportive and positive way ❤️ Lee and girls, I am so sorry for your loss. I loved her and feel blessed to have known her ❤️ Peace and love to your family. My thoughts are with the family. She was not only a coach and teacher, she was an amazing person, a friend and role model. She will be deeply missed. It was an honor to have Mrs. Leonard for a teacher. What a wonderful educator and person. Our thoughts and prayers to her family. She was fiesty and also very kind! Challenged me in PE and was passionate about her job. I remember like it was yesterday, her picking me to be a part of the mile relay in track. An event I wouldn’t have ever chosen on my own. We broke the school record. Mind you I was the slowest leg for sure. If I recollect it was Kelly Krajniak, Carey Clement, Katie Holborn, and me. Good memories. She will be missed. Lee, I am so sorry for the loss of your mom. She was more than a gym teacher in my world, she was a great mentor who touched my life in a way that gave me strength and encouragement throughout my lifetime. I was blessed to grow up in a community with valued women such as your mom. Your mom always made me smile. I felt she genuinely cared for each of her students, making it very easy for all of us to love her. I am sending love and healing to Mrs. Leonard and her family. She was a kind gym teacher and volleyball coach. She always saw the uniqueness in a good person on and off of the court. Many sweet blessings to all who have been touched by this sweet soul. One of our favorite teachers….So sorry for your loss. We will remember her fondly, always. Prayers to you Lee, and your girls, and the rest of your family, and friends. Your mom was a great lady! So sorry for your loss, Lee. I had the privilege to work with her as an assistant coach for about 5 years. Then she brought me onboard to help her at middle school track meets and some high school meets. I learned a lot from her. Marj was always kind and helpful. Lee, my deepest sympathies to you and your daughters. Always difficult to lose our mother/grandmother. I wish I could make your mom’s funeral, but I am working in Mio at H&R Block this year. Thanks to Marge for her dedication to Gaylord Community Schools and girl’s athletics. This year I had the pleasure of volunteer co-coaching 5-6 grade volleyball at my daughter’s school. It had brought fond memories back of my GMS/GHS volleyball years with Mrs. Leonard. She was my first coach and I strive to teach my girls volleyball like she did. Sorry to hear of the loss of your Mom, Lee. As you well know she was a very special lady. We remember her fondly as a neighbor, teacher, and friend. Marj was more like a big sister to me than an aunt when I was growing up. Her love of sports and the outdoors were similar to my own, and she always nurtured these things in me. She impressed me most with her energy, her quiet strength of character, and the devotion she had to all her family — especially her granddaughters. She will be greatly missed. I remember Mrs. Leonard fondly, she was always such a nice lady, and truly a gift to Gaylord schools and sports. Please accept our deepest sympathies over the loss of Marjorie. We pray that God will provide the family with the strength needed to endure this difficult time. Wow…what an awesome tribute to see so many wonderful comments about “Coach Leonard”. I was a newbie to Gaylord High School starting in my Junior year. Coach Leonard took a chance on me and helped me gain confidence that has carried into my adult life. She was so much fun and if I recall, I don’t think the teachers always thought her strategy was the best but for the kids it was. She loved us and we wanted to win for her and ourselves. Very sorry for your great loss, Lee. Praying for you and your family! Mrs. Leonard helped bring girl’s basketball to GHS in the 70’s. That’s when we first met. She was a lady with a great sense of humor. I know she will be missed by many. My condolences. I’m so sorry for your loss Lee. Your mom was such a sweet, kind and great teacher. I have so many fond school memories of her! Rest in peace Mrs. Leonard. So sorry to hear of her loss, our deepest condolences. So very sorry to hear of Mrs. Leonard’s passing. I remember her fondly as a warm, loving person. Prayers for your family, know she was very loved. So sorry to hear of Marge’s passing. She was truly a role model for all young women and a leader in women’s sports. It was a pleasure and an honor to teach with Marge at GMS. Deepest sympathy for the family. She will be missed. We are saddened to hear of Marg’s passing. She was a unique lady, full of knowledge and fun. We hope that the love and support of family and friends gets you through this difficult time. A wonderful gym teacher. She had a kind and fair heart. Sad to hear of her passing. Prayers and peace to her family. Prayers for the family.. i worked with Marge in the summer time . So sorry. Marj had the enviable well-earned reputation of being a wonderful person and a great educator. She surely had a lasting influence on many, many students during the years she was with the Gaylord Community Schools. Marj was a wonderful friend, teacher and colleague who gave so much to the students, school and community. Our prayers are with you. Marj was a very enthusiastic teacher. She positively affected many students over an impressive number of teaching years. She will be missed. Marj was a wonderful friend and colleague. We shared a classroom when she taught world history and Spanish. Some fun stories came out of our experiences with the 7th graders that we shared and laughed about for years. Also, I appreciate her example for my daughters as she coached them in basketball. Marj was a very special person and will be greatly missed.